This interactive presentation contains the latest oil & gas production data from all 12224 horizontal wells in North Dakota since 2005, through January 2017. After the severe drop in December, oil production in North Dakota rose again in January, by 38 kbo/d to 980 kbo/d. As the 2nd overview (“Well quality”) shows, the wells that started in 2016 were again better, on average, than earlier wells. Their number was however far smaller; less than half compared with 2015 (736 vs. 1521). In the “Well status” tab you’ll see that in January 62 new wells started production, versus 82 in December. The final overview shows that apart from Whiting, the other 4 major operators all increased production in January. Since early 2016, EOG has increased its oil production by about 50%. This was mostly by completing existing DUCs, as not many new wells were drilled. This “Ultimate recovery” overview shows how all these horizontal wells are heading towards their ultimate oil or gas recovery. This plot also reveals the increases in initial recovery in recent year, and that trend has continued in 2016. But it does appear that these initial gains are not extended further after 1-2 years on production. Also, looking at the wells from 2012-2014, some of these gains have been returned, compared with the 2010-2011 vintages. It will be interesting to see whether the 2015 and 2016 wells can avoid such fate. If you switch to gas, you can see a much more remarkable improvement in the last 2 years. This has led to an increase of gas production of about 50%, relative to oil production. Early next week, I plan an update on the Permian, if by then the New Mexico production numbers for December are available. This is a great site. For the production listed in the first flow is that per well or do you have to divide by the number of wells that are shown? I’m trying to see if there is significant variance between producers IP rates and cumulative production. Also do you now or will you in the future make any adjustment for lateral length and amount of proppant. That’s nice to hear, thank you. 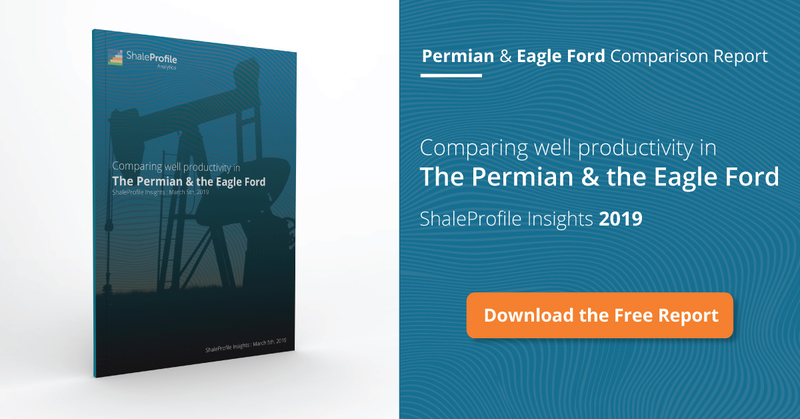 If you see a production profile in one of the overviews, it is always the average based on all wells in the selection. I’m also interested in developments in lateral lengths, and frac sizes. I suspect that these can explain quite a bit of the changes that we’re seeing in well productivity in some of the basins. So far I haven’t found high quality public data on this though, apart from what FracFocus reports. So, yes, I do hope I can show more on this in the future, but data availability is holding this back for the moment. thank you for your very useful website and the tools provided. When you calculate the average production of oil in a certain month, do you divide by the number of all wells which started production (in a certain year) initially or do you only consider those wells which are still working at that specific month? Thank you for your feedback Alex. To your question: the software automatically averages, based on the selection that you make. For example, if you group the wells by the year in which they started, each point on the graphs is automatically calculated by averaging the daily output of all the wells that started in the related year, and that have reached that particular month on production. The number of wells at each point is given by tooltips, and is also graphically shown by the thickness of the line at that spot. Because the wells that started early in a particular year have more “months on production” under their belt, you always see in this case that the curves become thinner at the tail, and the tooltips will show that fewer wells are included. You will not see this effect if you group the wells by the month in which they started. I do not exclude wells that have reached a certain point in life or status, e.g. inactive or plugged. Doing so would introduce a survivorship bias.